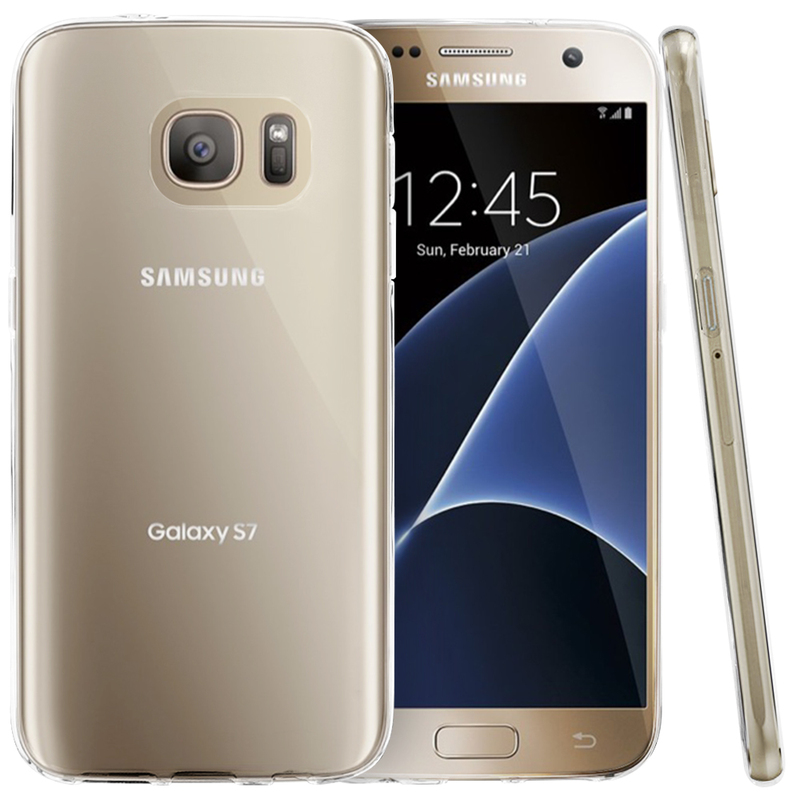 Crystal Clear Samsung Galaxy S7 Screen Protector | AccessoryGeeks | Free Shipping! 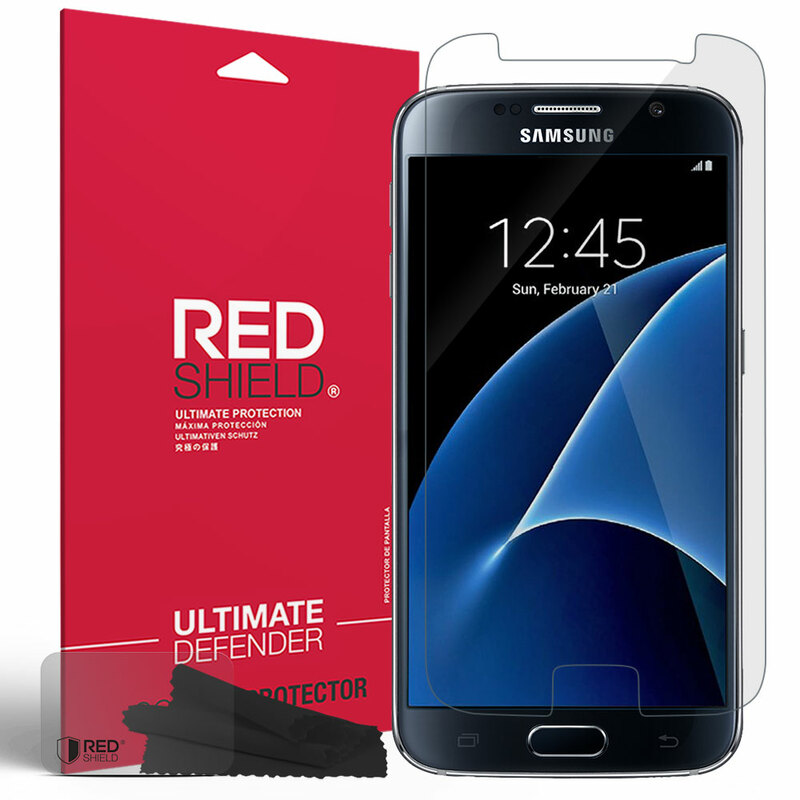 [Samsung Galaxy S7] Screen Protector, REDshield [Crystal Clear] HD Ultra Thin Scratch Resistant, Bubble Free, Protective Screen Guard Film Prevent scratches on your LCD screen. Keep the screen in pristine shape and prevent accidental scratches from marring your phone or device's LCD screen. Prevent scratches on your LCD screen. Keep the screen in pristine shape and prevent accidental scratches from marring your phone or device's LCD screen. 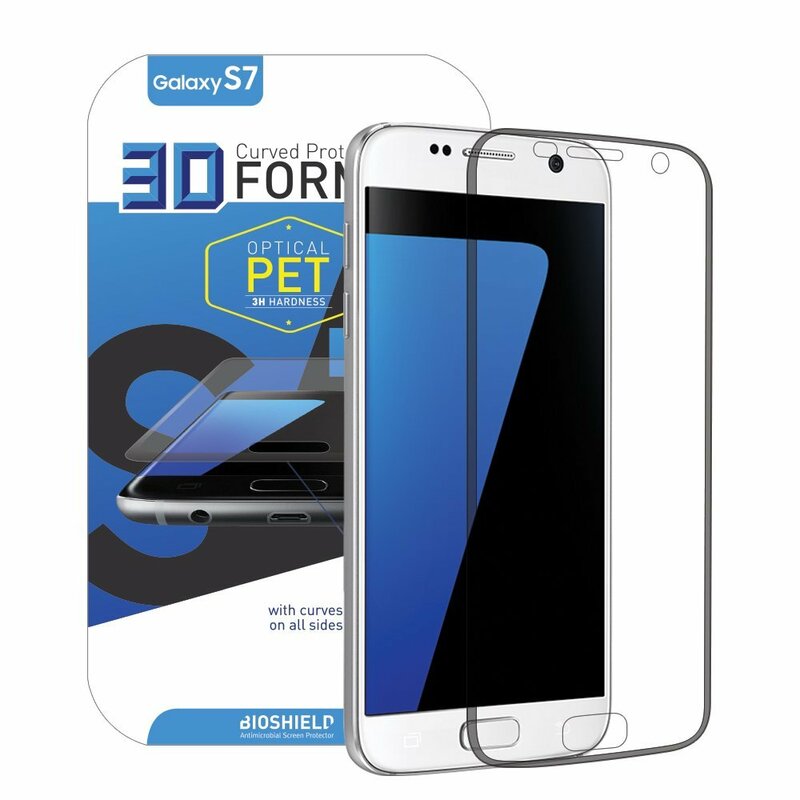 This screen protector features a pre-cut screen protector to fit the dimensions of your Samsung Galaxy S7. A lifesaver! It has been great so far! I dropped my phone face down on a hard tile floor and there were no cracks or damage to my phone. The best and easiest to apply. This is very sturdy, crystal clear, and no bubble either. They look very good and made me feel safe again. Thanks, Geeks! I really like this tempered glass protector, as they are the clearest and the easiest to install. The fit is very good also. Very satisfied customer! Very easy to put on my Galaxy S7, it's so clear, bubble-free installation and scratch resistant. This is the first protector I've used, and it's working beautifully. Amazing quality! Has the clearest and nicest feeling screen protector in the market. It gives a cleaner install more professional super thin, scratch resistant, and it's bubble free:) Thanks! 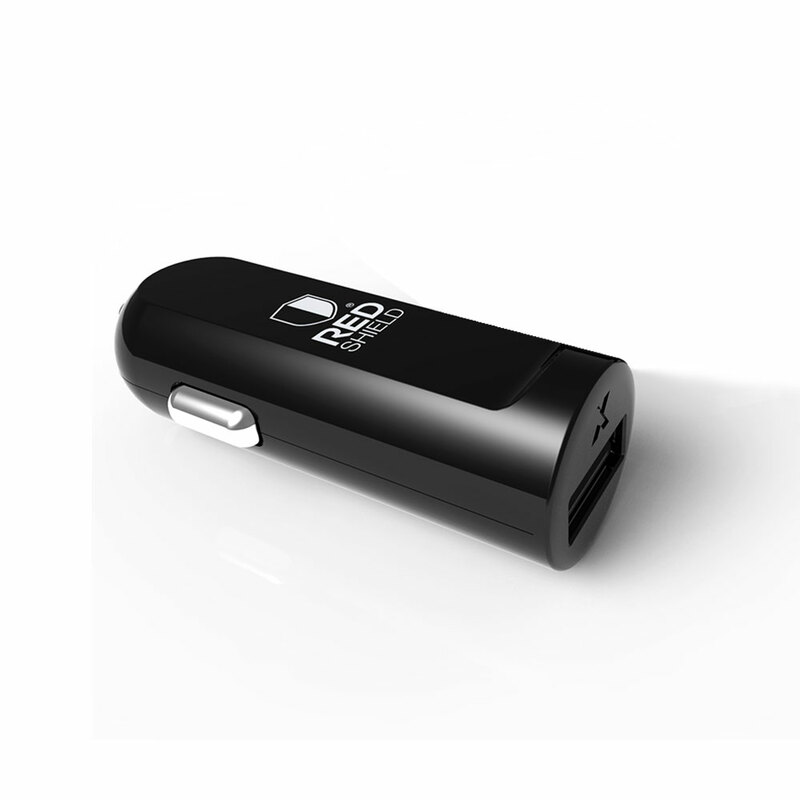 Easy to apply, bubble free, very responsive, and the fit is great. Such a good quality and the texture is smooth as glass. High-quality screen protector for my new phone. Keeps my screen clean, clear and protected. Exactly what I was looking for, can't ask for more! Best screen protector ever!I just slipped it on and no air bubbles were left. Easy to install and seems to protect the way it should be. Very sturdy, thin and clear. This screen protector is cut perfectly for all buttons and these are simply the best screen protectors my wife and I have ever used! Great screen protector! It covers the entire screen and it was easy to install. Tempered glass came in a very nice box and nice package. Pretty good! Excellent screen protector! It looks great and feels good! A great way of protection. Perfect fit and good price too! Just what I wanted at a lower price. 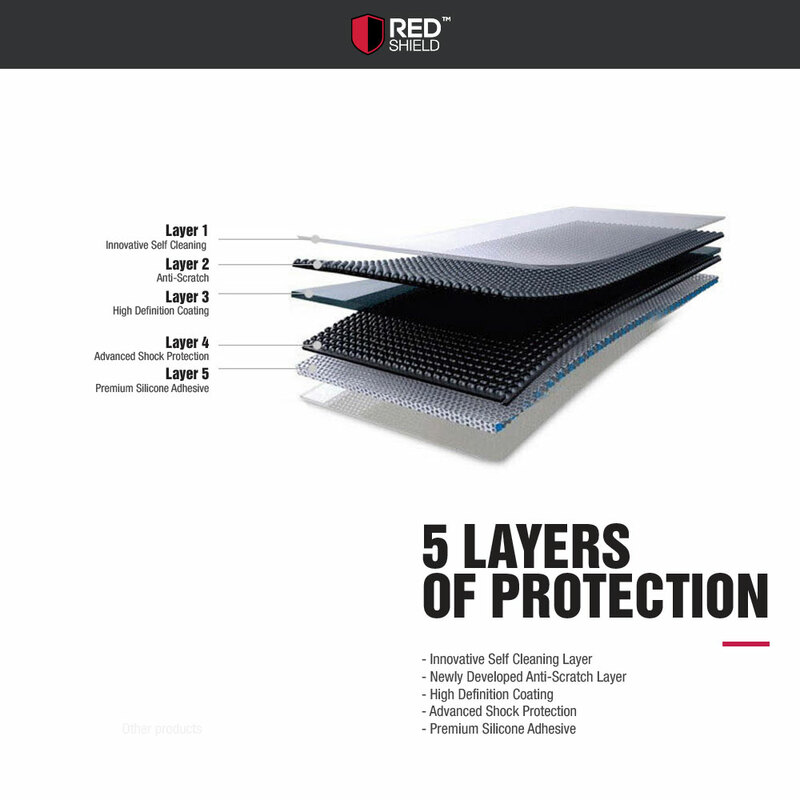 Sensitive to touch yet great protection. It has saved my phone from cracking, scratching and other damages. Screen protectors are a great deal! I have dropped my phone and had the glass screen protector crack while my phone’s screen stayed safe. Easy to install, very clear and give an extra protection for my screen. Worth the money and definitely recommend to others. Good value for the price. This screen protector was pretty easy to install and seems like decent quality. 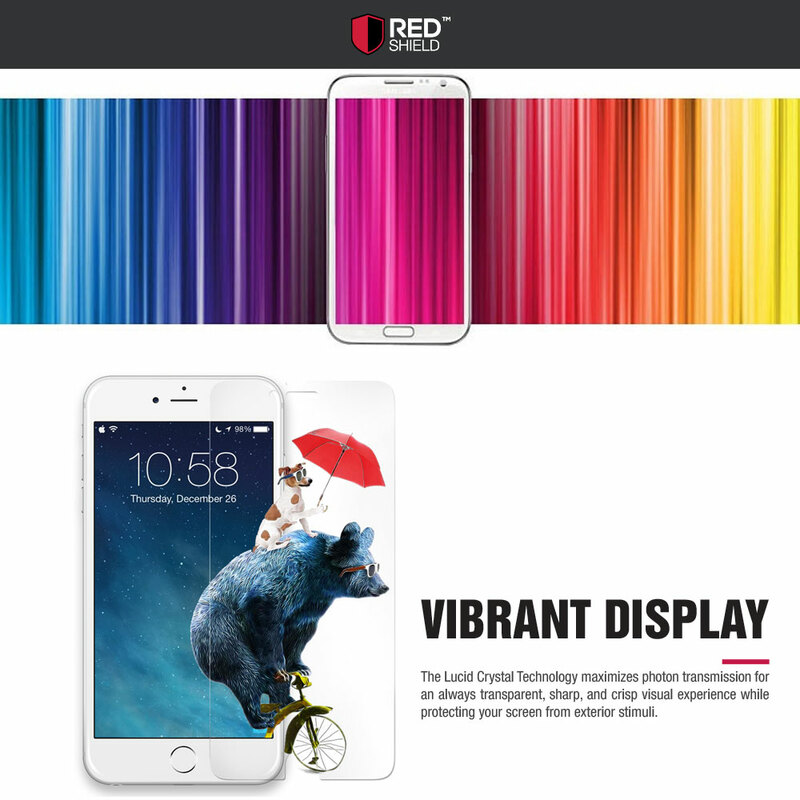 Very good quality, thin, clear with great protection for my screen.! Great price! Perfect and easy fit for my phone.This is beautiful, smooth and clear rounded glass. Sturdy and durable. Highly recommended. A clever instruction with the sticker hinge. Quick installation, no bubbles and perfect fit on my phone. Awesome screen protector it saved my Galaxy S7 life! Dropped it several times but my screen remained unscratched. It is well worth it! Solid product. Comes with all the stuff to help you clean and square up before you install. Love it! Excellent fit! Easy to apply, no bubbles, and protect my phone and does a fine job of preventing scratches. Great for the price! So far a great quality at a fair price! This screen protector protect my phone on sudden falls and scratches. Easy to apply, best buy! Keeps my phone secure and protected. Fits great for my S7 phone and I love it! Great screen protector, Easy to apply and have no bubbles. Great product for the price. Awesome screen protector. Great sensitivity and ability to swipe across the screen. It works great to protect my phone screen. Great price and highly recommended. Perfect! I can do it! It was easy to put it on. No bubbles at all. This screen protector is good quality, excellent touch response. Looks great! Highly recommended. Quick and easy to install! Glass is definitely clear and has no bubbles. 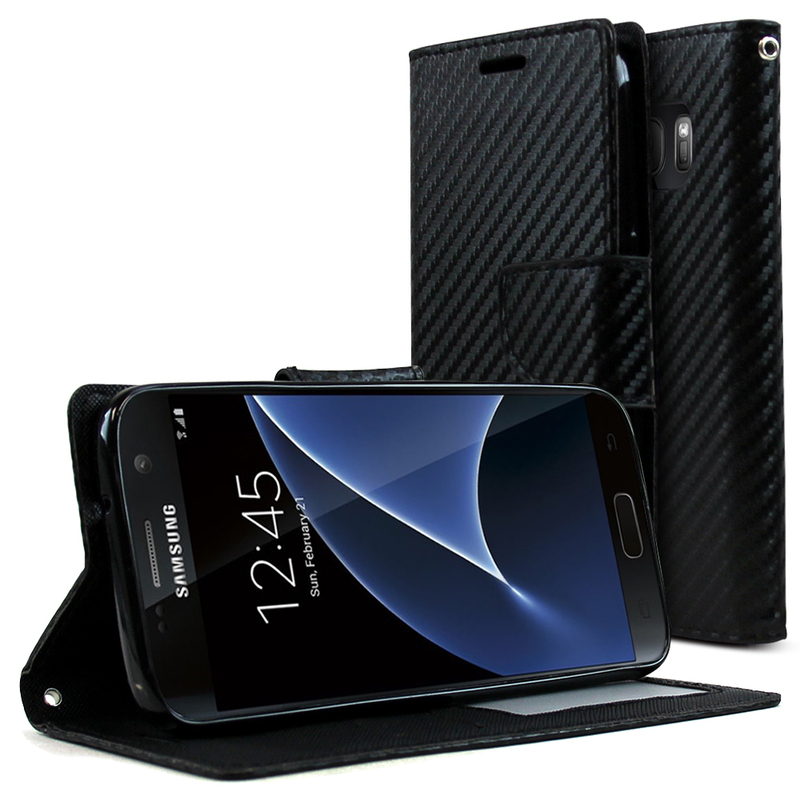 Its offers a supreme protection for my phone. Happy in my purchased. Easy to install and very good material to protect my phone, No bubbles or gap and perfectly fits in my Galaxy S7 phone. So simple, and very smooth highly recommend. Best screen protector I have ever had for my Galaxy S7. 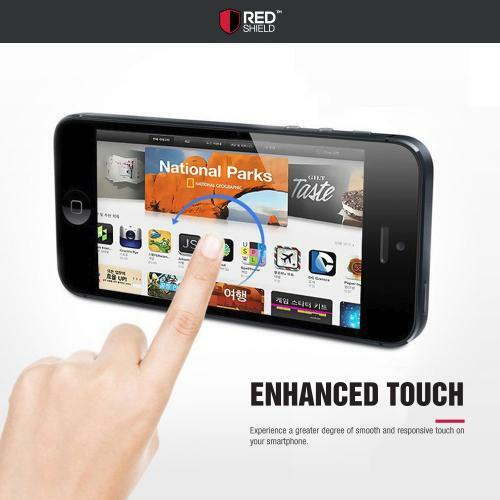 100% super clear transparent and sensitive, it is also anti-fingerprint and has great feel. I definitely recommend this product. It absolutely saved my life this morning. I dropped my phone from our stairs, i looked and saw the crash but when I removed the tampered glass screen protection, my Galaxy S7 was in perfect condition! I almost cry of happiness. I ordered a new one and have been recommending to all my friends. Great Screen Protector for my phone. Fits extremely well, I drop my phone and it managed to crack around the front camera. No bubbles, best shield for my S7 Edge. It makes it so easy! Fantastic screen protector. Fits great! it gives an extra protection on my Galaxy S7. I was able to follow the instructions and it was so easy. The texture is smooth and shinny. Worth it! Excellent screen protector! It protects my phone screen from cracks and scathches! Very easy to put on without any bubbles or debris under the glass. My phone feels safe now! There are no bubble on my screen. Easy to install, great quality product, very clear. Really recommended. Best screen protector so far, super beautiful, fits perfectly in my Galaxy S7. Clean and easy to install, no bubbles crystal clear display. Happy in my purchased, thank you. Very much impressed in this screen protector! 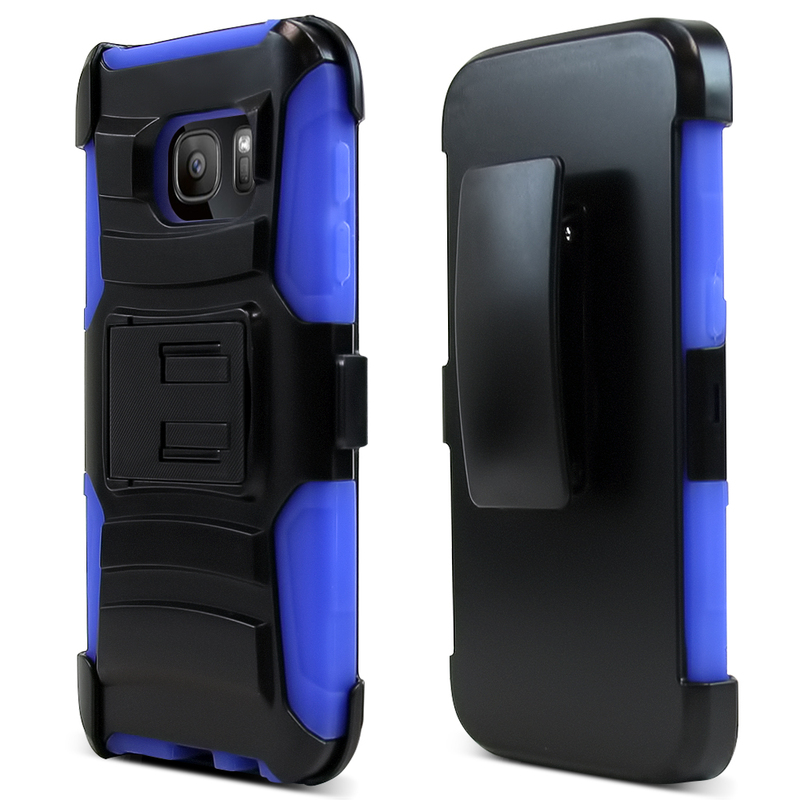 great protection for my phone, fits perfectly, easy to install and happy with the price. Perfect and high quality. Easy to apply just follow instruction. Looks and feels nice, I love the way it protect my phone against scratches. Great Buy! My phone screen is beautiful with this on! I am glad I bought it! Fits my phone very well, excellent screen protector and super easy to apply! Definitely recommend. Amazing! I dropped my phone and did not get damaged. Its protects against scratches, scrapes and abrasion, I really appreciated this screen protector! Easy to install. It is very nice screen protector and it works well with my Gallary S7. I love the way it protects my phone against scratches, scrapes and abrasion. Thank you and happy for my purchase. Excellent product, easy to install, looks fantastic, its fit my phone perfectly, it give protection against scratches, scrapes and abrasion. Great value of price, i'm happy on my purchased. I was amazed in this screen protector, it can be easily wiped, easily to apply, no bubbles, with supreme protection. I feel like I have a brand new phone. . Satisfied in my purchased. Keep my expensive investment in good hand! It keeps my phone supreme protection, perfectly fit, sturdy, thank you for this case protector. Easy to installed, I've dropped my device and luckily these screen protectors saved it from any potential damage to the screen. It's small price to pay to protect my expensive investment. Highly recommended. Best screen protector ever. I love the way it protect my phone. Highly recommended. I really liked this screen protector, good quality, fit well, the edges are ever so slightly curved so that they fit the 2.5D glass on the GS7 perfectly. Instruction were easy to understand and follow. Excellent protectors! You must try it. I was so excited because it looked very high quality and durable,when i got this screen protector in the mail, i brought my phone right away to try it and see how it works and what quality it has And I was surprised because it was very easy to apply and it did not leave any bubbles or dirt inside the screen and the screen protector,the process of applying it did not require any hard work. and the results was amazing. I have tested it for scratch resistance with my keys to simulate the phone in my pocket and it didn't scratch. If I did look closely I could see the scratches but it was nothing too visible. It is also fingerprint resistant.I would recommend this protector to anyone, especially because of the price and peace of mind it offers. Great screen protector for Galaxy S7. This Screen Protector was so easy to put on. I was really surprised at how easy and perfect it went on. The instructions were pretty easy but basic. I used the alcohol free cleaning sheet it came with, then I used the dry sheet also which dried up everything. I used the lint removed all over the screen to make sure nothing was on there and then I peeled the clear sheet off. I lined the screen protector on the phone, let it go and it pretty much applied itself to the screen. It was the easiest thing ever. I turned on the phone and was amazed at the clarity of it and the touch screen was not affected by the thickness of the screen protector. It was the easiest screen protector to install that I have ever tried. It fits good,looks great and no bubbles, which is a first for me. I can not attest to how well it protects for it has only been on my phone for a few days but I'm sure it will work as well as any other screen protector. What really impressed me was how easy it was to install and how great it looks. Also really like how it significantly reduces finger print smudges. Very happy with this purchase. 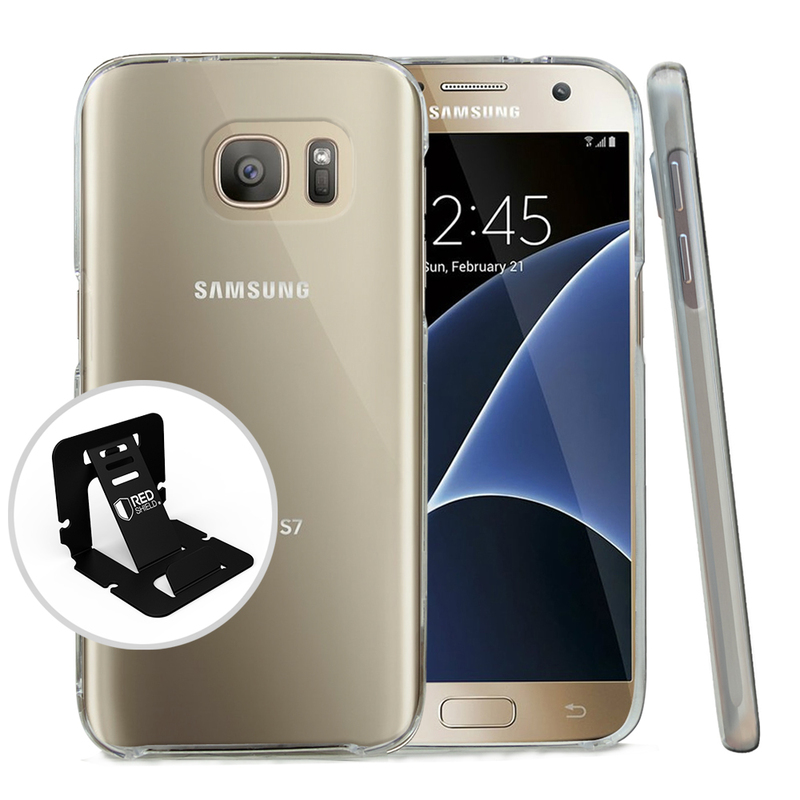 It was excellent product its is easy to install and fits perfectly on the galaxy S7 . Very impressed and satisfied with this product and would definitely recommend it!!! The kit comes with the cleaners and everything you need to get started and get it on the phone without any bubbles. If you get any, just warm the screen by running on it with your finger then work them out. It was easy to apply and it is working really well. I highly recommend this screen protector to everyone who needs one! I really love this screen protector and I believe everyone else who gets this screen protector will be happy with it! Very nice screen protector and everything in this kit is useful . I needed a screen protector for my Samsung Galaxy S7 Edge. This was perfect. I applied it easily. You just need to make sure your phone and hands are free from dust before applying the screen. It sealed to the edges mostly. It is case friendly after it completely dries, which is very important. The screen is still responsive after the screen is applied. This is the best protection to keep your phone "as new". The glass is very clear, so you can hardly tell there is anything covering your screen, and the touchscreen works perfectly,I highly recommend this screen protector because the installation is very easy. 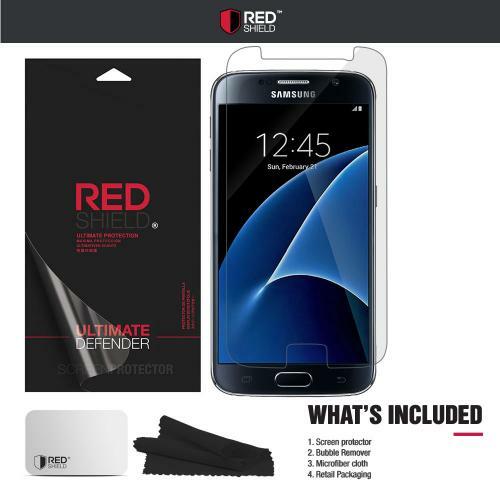 It is useful and very nice screen protector, and everything in this kit is useful. I didn't have any problems with bubbling or placement, so that was good. I love the protector. It is a bit of a challenge to get it exactly right, but the directions video is great. These things are an EXACT fit, so be sure you have it aligned perfectly before it cures. Packaging comes with all you need to install successfully, includes two pieces of screen protectors, worth the price! It was fairly easy to install the screen protector the instructions are very straight forward. I do love the fact that this screen protector leaves the resolution of my screen be in comparison to the matte protector which distorted the images a bit. It fit my phone Samsung s7. I change my phone case often and it doesn’t mess with it at all. 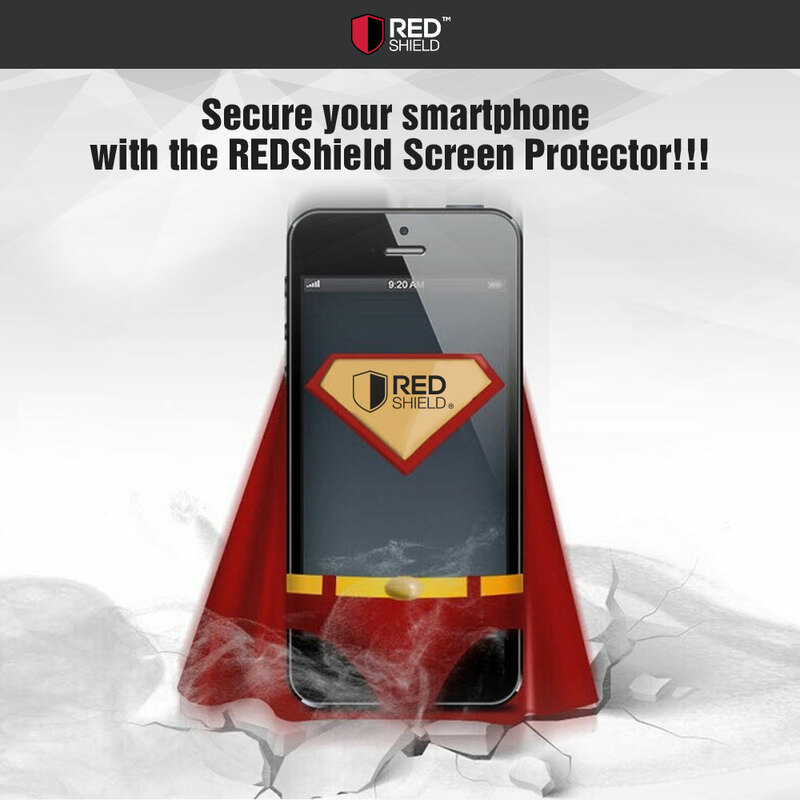 The REDshield is the best fit and cover of any screen protector I've ever bought. I previously bought a cover for the Galaxy S7 that fit ok but didn't quite reach far enough to the rounded edges of the S7. I was often trying to type on nothing since there was a gap between each side of the letter on the left or right side. The REDshield screen fits perfectly. I also like that it's solid, nary a bubble or crease or lack of fit across the device. Highly recommended. I was skeptical when I opened the package, but it proved me wrong. After, several tries of different screen protector for my phone I finally find the perfect match. Easy to install and very clear. Does not affect screen sensitivity at all. Putting the screen protector on was pretty self explanatory, however the instructions on the back was very easy to follow. I really liked the small card they send, it helps smooth out the bubbles. it is easy to install and went on absolutely bubble free. clear in color but this does not in any way interfere with the clear clarity of the screen. It's perfect fit in the screen and very protective. it protect your phone from minor scratches and damage and make you feel more secure when using the phone. 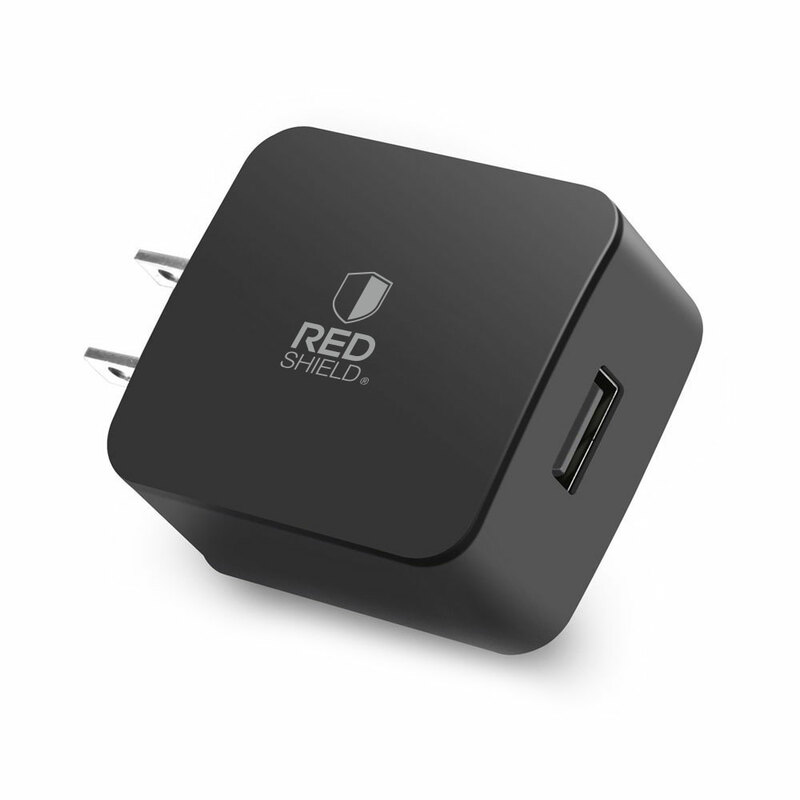 it was one of the best products I have got for my new phone.It was easy to open and easy to put on you phone..everyone need this product. . The screen protector was easy to put on. Just took a few seconds. I flattened it out with a credit card when I was done. Make sure you clean the screen really well before you put it on. Also, give it a day or so to work the bubbles out. Mine had bubbles at first, but they disappeared on the second day. Great product "Read Instructions so simple"
Bought for my wife's phone. No bubbles, read instructions before you install, (turn off ceiling fan, 1 spec of dust will show up) I learned the hard way. Very simple. Awesome screen for the price! It was very easy to install so it will be for everyone, Packaging is good, clear and fine cuts. I would say that this item is great for it's price! This screen protector really fit my S7 phone screen & I didn't have hard time installing it!